Posted on July 17, 2013 by Site Admin in News. It is important to to drink water during any exercise to prevent your body from getting dehydrated – this is especially important during hot weather. Drinking water is essential during any form of exercise because it helps rid your body of the toxins that are released from your muscles. It also helps replenish your the water lost as sweat. Your muscles can get dehydrated and start to cramp if you don’t take in enough water. None of the water that you drink when you start working out makes it into your system quick enough to help your body. Instead, you need to drink water two to three hours before you work out in order to hydrate your body properly. This gives your body plenty of time to get hydrated and prepare for a workout. So when you start sweating at the beginning of a workout, all of that water is actually from the reserve you’ve built up ahead of time. Once you’ve hydrated yourself before exercise, you need to make sure that you stay hydrated while you exercise. As you sweat, the water that you drank before your workout will be lost. Avoid taking huge gulps of water, instead, gradually take in cold water throughout your exercise routine, because cold water is absorbed more quickly into your system than warm water or room temperature water. This is the most effective way to drink water during exercise. Once you finish working out, your body still needs water to replenish the levels that you lost during your exercise. As part of any exercise routine, make sure that you drink water before, during and after your exercise. Water is important for all of your cells to function properly as it acts as a lubricant for your muscles, joints and vital organs. Water is necessary for you to have energy during your workout because it is the transporter of oxygen and glucose throughout your body. Your muscles need water for strength and flexibility. Your joints need water to prevent stiffness and your brain needs water to send messages, like how to regulate your body temperature. 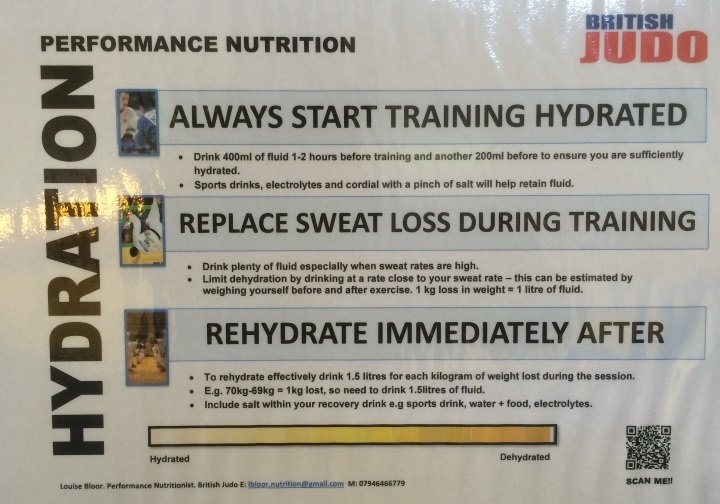 Should you drink juice or a sports drink instead of water? There is no substitute for water. If you are drinking juice or a sports drink instead of water, you could be doing yourself a disservice because many juices and sports drinks contain excessive amounts of sugar, and sugar causes your body to become dehydrated. Drinking sports drinks or fruit juice instead of water will generally make you thirstier. Generally, you won’t need to consume anything except water during your workout, unless you are engaging in a strenuous activity or working out for longer than one hour.